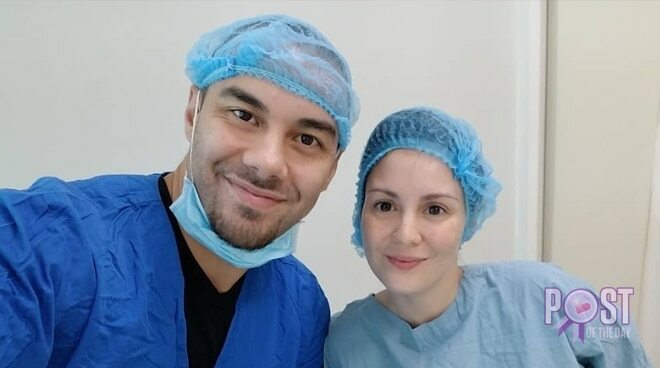 Doug Kramer took to social media to post an update about the in vitro fertilization (IVF) cycle that his wife Cheska underwent for them to have another baby. In an Instagram post on March 20, Doug shared that Cheska has already reached the final day of the procedure. "Today marks the last day of Chesca's IVF cycle, the embryo transfer. It's been almost 2 weeks since we started the injections and just 3 days after the "pick up." God willing, everything will go well the next few weeks. Keep praying for us!," he wrote on Instagram. It was in March 6 when the Kramer family announced that Cheska would be undergoing IVF. "Chesca's pregnancy with Scarlett and Gavin took a toll on her body and the smart thing was to have her ligated. But now that it has been 6 years since the last birth, tests have been done to see that her body is ready for another go! All in God's time," Doug stated back in March 6.